Get rid of cash and make people have to use an electronic digital form of commerce and suddenly you can control just who will have the ability to buy and sell in your new economic world order. The move to a cashless society won’t happen overnight. Instead, it is being implemented very slowly and systematically in a series of incremental steps. 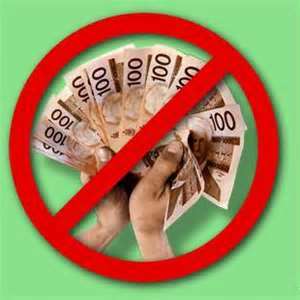 All over the planet, governments are starting to place restrictions on the use of cash for security reasons. As citizens, we are being told that this is being done to thwart criminals, terrorists, drug runners, money launderers and tax evaders. Other forms of payment are much easier for governments to track, and so they very much prefer them. But we are rapidly getting to the point where the use of cash is considered to be a “suspicious activity” all by itself. These days, if you pay a hotel bill with cash or if you pay for several hundred dollars worth of goods at a store with cash you are probably going to get looked at funny. You see, the truth is that we have already been trained to regard the use of large amounts of cash to be unusual. The next step will be to formally ban large cash transactions like France and other countries in Europe are already doing. This point comes when a society goes cashless and the potential for econgularity is at its highest. A singularity is defined as the point in which technological advancement will "radically change human civilization and perhaps even human nature itself." It is impossible to know if this will actually happen, but a cashless society would certainly give governments unprecedented access to information and power over citizens. Currently, we have little evidence to indicate that governments will refrain from using this power. On the contrary, the U.S. government is already using its snooping prowess and big-data manipulation in some frightening ways.